With hummus and falafel everywhere, big brands offering vegan options and over 28 vegan restaurants in Tel Aviv alone, Israel is quickly getting a reputation as one of the most vegan-friendly countries on the planet. In fact, I even named it best country for vegans in 2017. Is it vegan to visit Israel? 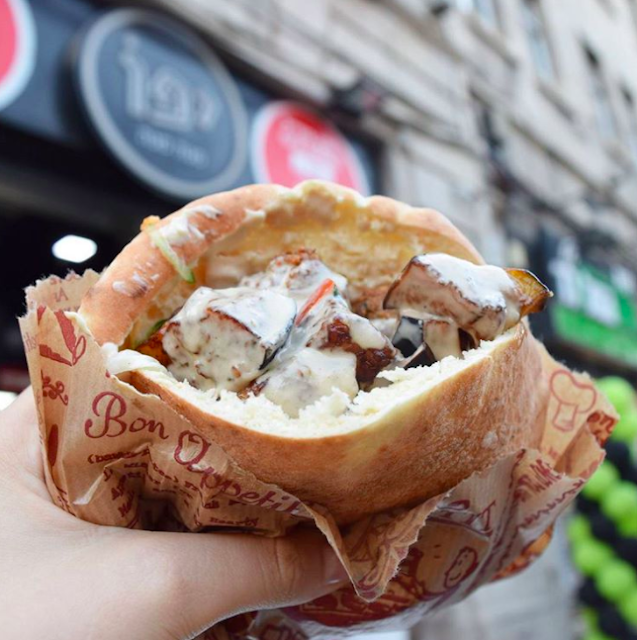 Whilst falafel wasn't invented in Israel, the idea of putting falafel in pitta was (thank you) and Israelis are responsible for spreading falafel to Europe and the US (thank you, thank you). Hummus wasn't invented there either, but it is everywhere!! The falafel and hummus I had in vegan Israel really were better than any I've had anywhere else (sorry Dubai, sorry Belgrade). Eating out in Israel is infamously expensive, but one of the tastiest and cheapest meals (£3.25) I had in Jerusalem was the above hummus + falafel + aubergine pitta. It was from a kebab type place where two sweet old gentlemen were serving and got flustered every time more than three customers came in. But it's not just Middle Eastern food that vegan Israel does well. 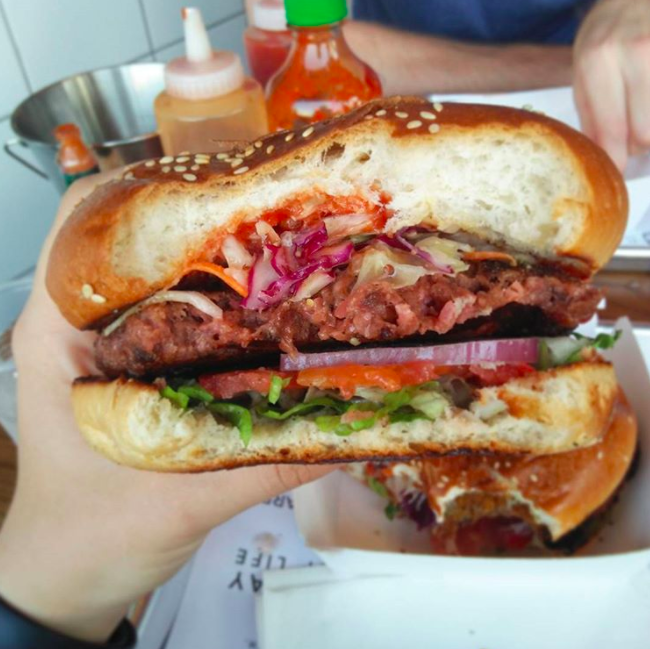 I had a burger from Nature Boys in Tel Aviv and it was really delicious. It looked incredible, in fact at first I wasn't sure if it actually was meat or not. But the first thing the server guy told me was 'everything here is vegan' and that plus the 'eat like you give a f***' sign convinced me. It didn't taste anything like meat at all. And at £7.35 this was a really good price (for Israel) which included free soda water (as much as you could drink). The burgers don't come with fries yet, so I decided to just have the burger and see if I needed fries afterwards - I didn't I was super full and happy. My cousin and her husband very kindly took me to Nanuchka which is not just the best vegan restaurant Tel Aviv - it's also one of the best vegan restaurants I've been to in the world! This is the reasons why people say Tel Aviv vegan capital. 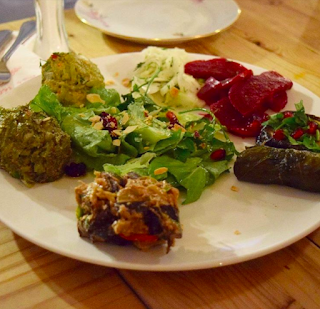 Nanuchka famously used to be totally meat-centric (it's Georgian food), but when the owners got divorced, the woman decided to reinvent Nanuchka - still delicious, Georgian food, but now all vegan. We started with lots of salads, which were delicious and filling. For my main I had chips with fake meat that looked and tasted so real, it was hard to believe it wasn't meat. Yum. My eyes were bigger than my belly and I had loads of leftovers - Nanuchka put it in a box for me and it made the best lunch the next day. If you get a chance to go here, do it! 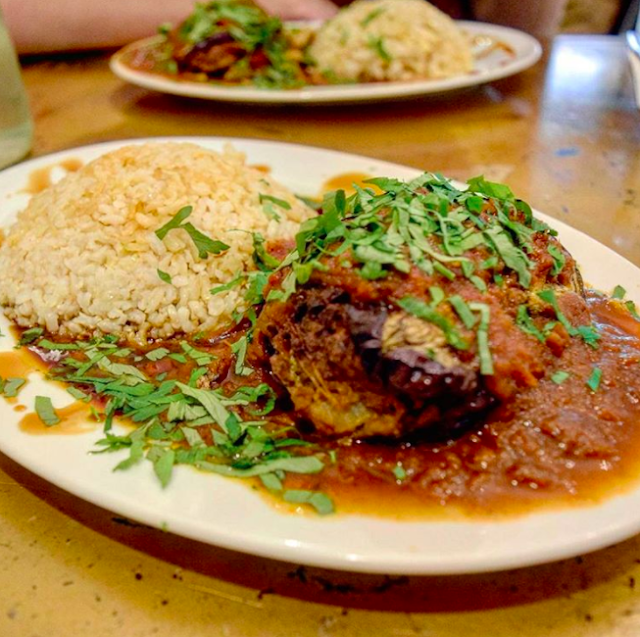 In Jerusalem, I went to Nagila Restaurant and had an absolutely incredible aubergine tomato rice dish. It was unbelievably good. Although some reviews online say they are vegetarian/vegan, they are now fully vegan. The meal was £9.03 and it was so filling I didn't need dinner. Highly recommended. A Kibbutz is collective community in Israel, kind of like an organised, agricultural commune. It's a big part of Israel's culture and history so I recommend you visit one. 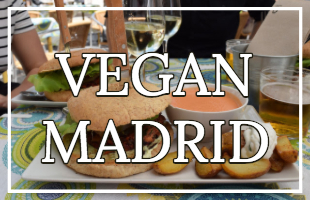 Visiting as a vegan, I was super impressed by the food and less impressed by their zoo - our guide literally said: "if you're not convinced this place is paradise yet, wait until you see our zoo". Lol. In all fairness it wasn't an awful zoo - the donkeys, horses, emus, tortoise, peacocks and ducks all seemed pretty happy. But a zoo is a zoo and some animals, like the weasels, did not seem happy. The food was great - they offered three options: meat, vegetarian or vegan. Of course, it would have been best if they only offered vegan ;) but I was surprised and grateful vegan was even an option. It was a delicious option too and there were plenty of salads to go with it. 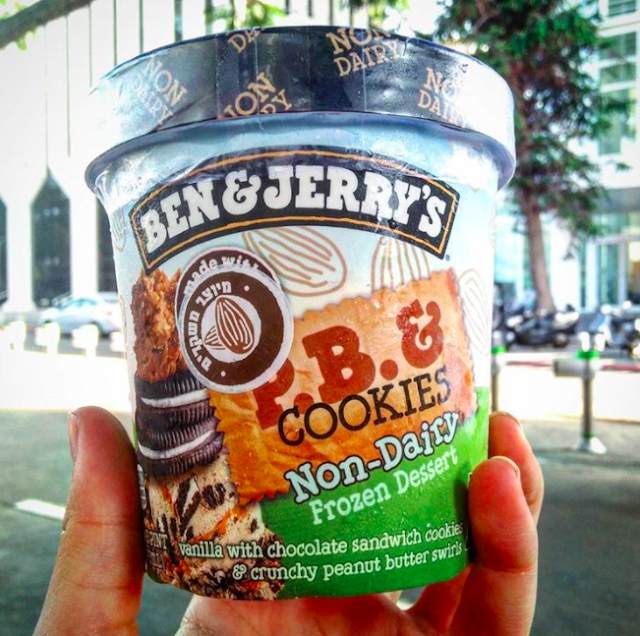 Vegan Israel is famous for being the first place in the world to have a vegan-friendly Domino pizza option and the second place to offer multiple vegan-friendly versions of Ben and Jerry's. I used to love Ben and Jerry's so it was sooooo good to be able to try Ben and Jerry's again! But Ben and Jerry's aren't the only vegan-friendly ice cream carriers in Israel, far from it. There are even ice cream manufacturers there that only produce cruelty-free ice cream - like Ilo! I made a video trying vegan Israeli snacks, I hope you enjoy it. THE place for vegans in Israel to stay is Abraham Hostels - and this is coming from someone who doesn't like hostels. They have a hostel in Tel Aviv and Jerusalem and a guest house in Nazareth. What I liked about them was how well organised everything was - they do tours too. There's no bs with them, they know what they're doing and they do it well. They also offer a map with places that have discounts just for Abraham Hostel stayers - including Nature Boys which is right next door! I was particularly impressed with their breakfast spread, they offer all guests a complimentary buffet breakfast, which had not just what you'd expect from a hostel: bread, salad, fruit, cereals, coffee, tahini but vegan chocolate spread and rice milk too! I did do a cooking class in Tel Aviv, and although I'd mentioned when I booked it that I was vegan, the chef didn't know this. I told her and she very kindly and quickly adapted the recipe (eggs became eggplants). One American woman in the group though was like 'oh do we really have vegans here?!' with an incredulous expression. She was an idiot though who got told off for taking selfies at the Israel/Jordan border. She also rode a donkey, a horse and a camel at Petra which is super un-vegan. And complained when we went to a falafel restaurant in Jordan and she had to pay extra for meat. Apart from her, I got on so well with everyone I met at the Abraham Hostels - there truly were people from all walks of life there: young, old; backpackers, professionals; solo travellers, couples, families - everyone! 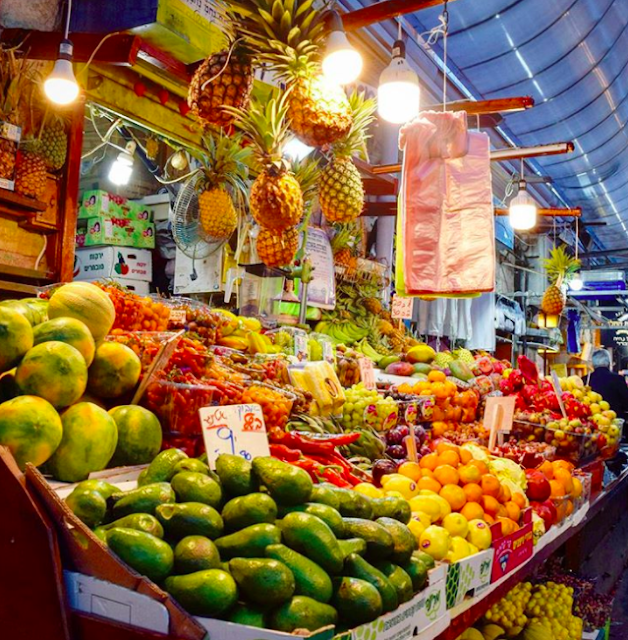 Abraham tours even offer a vegan tasting tour of Tel Aviv! Anyway, I recommend staying with them and taking part on at least one of their tours. I would definitely stay again. Read my full Abraham Tours Review here. The markets in Jerusalem are a real treat for the eyes, nose, taste buds (though maybe not your wallet). There are exotic fruits and veg everywhere, and although they did also sell fish, honey and meat - it wasn't as often as I've seen in other markets from around the world. 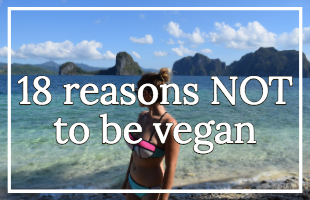 With the conflict with Palestine and the abundance of human right's violations, many argue that it's not vegan to visit a country that abuses humans. Honestly, I don't really know enough to comment on this - all I can say is from what I experienced both sides have horrible people in them, but the majority of both sides just want peace. Does visiting a country support a repressive government? I don't think so, mainly because no one would be able to travel anywhere if I thought that - the US, UK, UAE, Malaysia, Philippines, Hungary, Italy - just off the top of my head, all have governments that do things that I think are absolutely appalling. Even Iceland, which on the whole is one of the most progressive countries in the world, is basically eliminating Down's Syndrome.. (for the record, I'm 100% pro-choice, a woman should do what she wants with her body at all times, I'm just saying I don't like that the government has made this into a thing). Anyway, ultimately I don't really know. 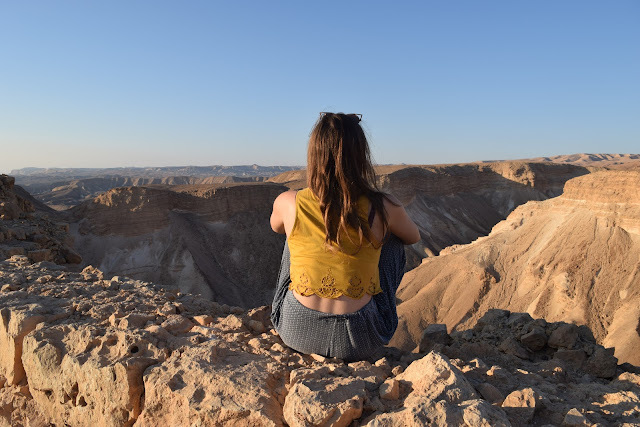 Would I go back to Israel? Yes. Would I recommend you go there if you want to? Of course. Do I have all the answers? Of course not. Do I think it's important to make your own decisions and not be swayed by media or by people, who haven't been there and don't really know what they're talking about? Hell yea. 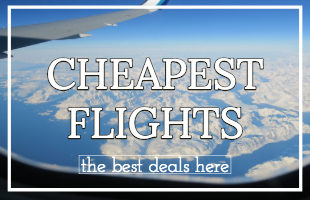 One last note on ways to save money in Israel, I recommend you stay with Abraham Hostels because they're awesome, but I also recommend you take a quick look and see if there are any house sits available in Israel. 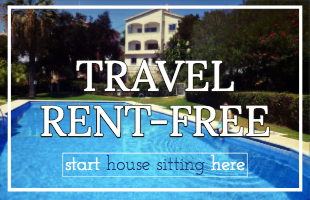 House sitting is the perfect way to travel for most people because in exchange for looking after a house (and often a few pets) you get free accommodation! 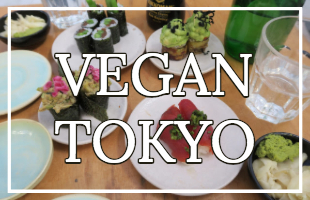 And to find out more about why house sitting is perfect for vegans check out my vegan house sitting guide. 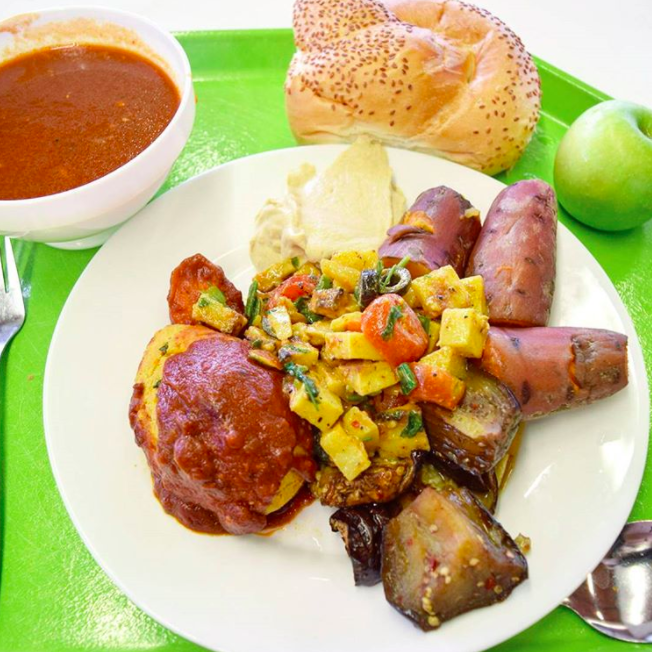 Is eating vegan in Israel easy? Definitely, it's one of the easiest countries I've been to, probably the easiest country - that's why I named it one of the best countries for vegans in 2017. 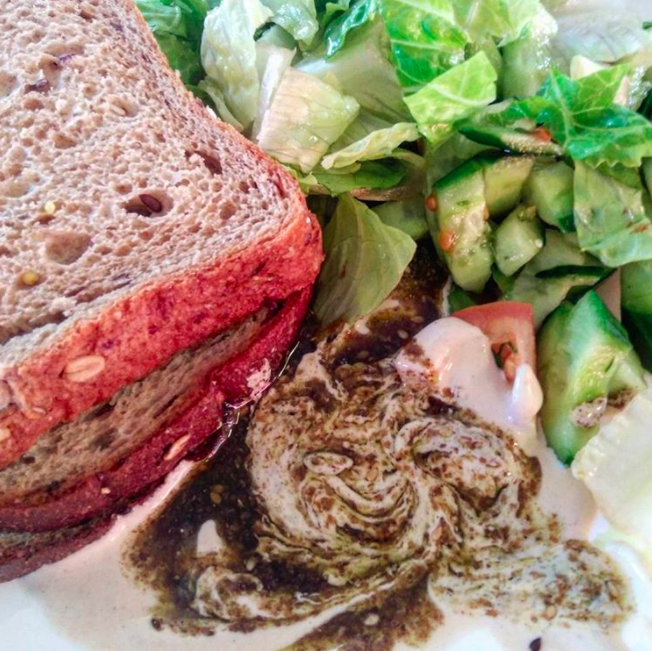 Is it expensive to eat in vegan Israel? For sure, but it's such good quality you won't regret it. If you have any questions, comments or anything else, write a comment below or email me.